Andrea Motis & Joan Chamorro Group were some of the confirmed artists that gathered at the Olympia in Paris to celebrate jazz. The event organised by the French radio TSFJazz brought together the best of 2014. 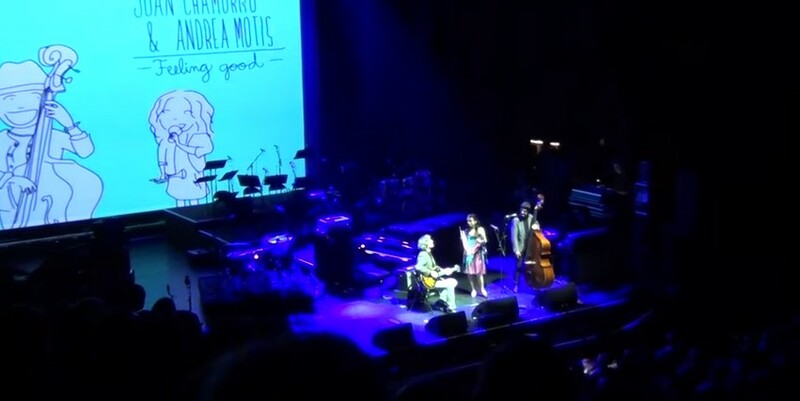 Moon River was the song preformed by the trio formed by Andrea Motis (vocal and trumpet) Joan Chamorro (double bass and vocal) and Josep Traver (guitar). Click here to watch the performance.